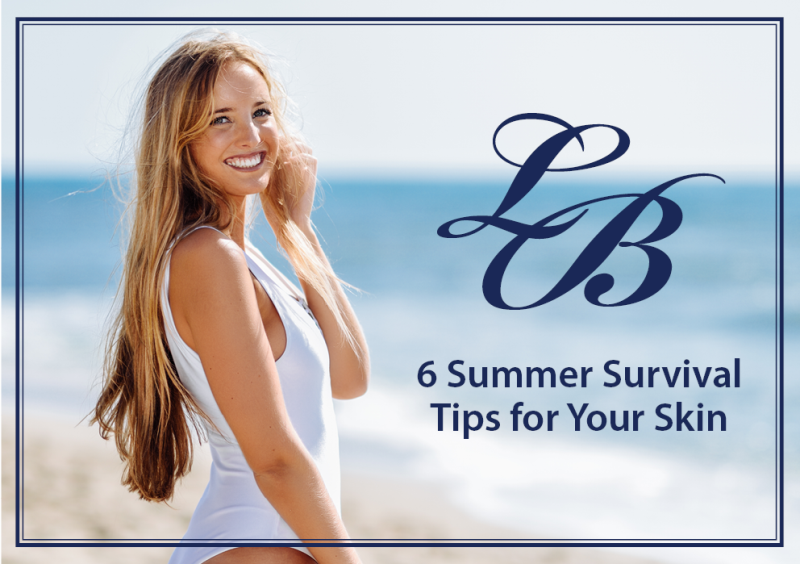 Sun Protection: Choosing the right sunscreen for your skin and reapplying every 2 hours throughout the day is essential for optimal skin protection. Hydration: Your skin tends to lose a lot of moisture during the summer months causing it to become dehydrated and dry. Look for skin care products containing hyaluronic acid, such as the Le Bleu Hyaluronic Acid Anti-Ageing Serum. The hyaluronic acid molecule carries about a 1000 times its weight in moisture and is the perfect ingredient for skin hydration. Daily Antioxidants: UV rays create free radicals which destroy collagen and elastin causing premature skin aging. It is important to note that no sunscreen can block all of the sun’s damaging rays. The Le Bleu Advanced Repair Oil Serum is a nourishing blend of organic oils packed full of vitamins and antioxidants to assist with dry skin, blemishes and fine lines and wrinkles. Beautify the skin from within: Consuming fruits and vegetables that are in abundance during the summer months will give a boost of glowing good health to your complexion. Blackberries, blueberries, strawberries and plums have the highest total antioxidant capacity of any food and drink at least 8-9 glasses of water a day. Deep Cleanse: Hot, humid, hazy days can make your skin feel sticky and clogged because sweat just clings to your skin instead of evaporating into the air. It may be time to switch up your cleanser such as the Le Bleu Deep Cleansing Face Wash for that extra deep clean. Aftercare: even with proper sun protection our skin is still prone to brown spots and blemishes. Ensuring your skin gets all the correct antioxidants and vitamins after a day out in the sun, we advise the Le Bleu Advanced Repair Tissue Oil. This tissue oil can be applied over the whole body helping to nourish skin, treat brown spots and blemishes and leaving you with a healthy glow.